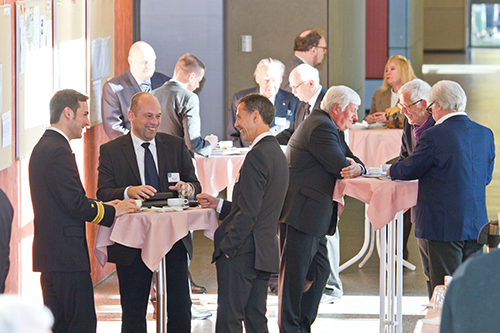 On May 23, 2018, the 4th Marine Round Table took place in Frankfurt am Main. 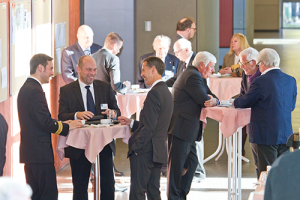 The annual event – after Hamburg, Munich / Bavaria and Stuttgart / Baden-Württemberg – was aimed specifically at the entrepreneurs and managers of medium-sized companies from the Frankfurt at Main / Hessen: What can entrepreneurs do for maritime security, for free trade and safe sea routes? 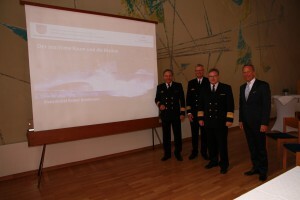 About 50 executives were invited by Vice Admiral Rainer Brinkmann, Deputy Inspector of the Navy and Commander of the Fleet, and Ludolf Baron von Loewenstern, a family entrepreneur and Captain of the reserve German Navy, followed in the plenary hall of the town hall, the so called Roemer. 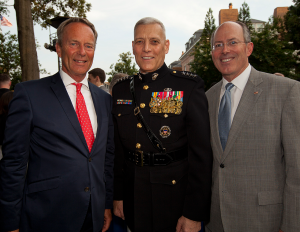 The Marine-Round-Table also celebrated the 170th anniversary of the German Navy at its “birthplace”. The Frankfurt National Assembly had decided on June 14, 1848 in the Paulskirche to build a first all-German fleet – to protect the maritime trade and to fight in the Schleswig-Holstein war against Denmark in 1851. For more than four years, this “Imperial” or “Federal Fleet” naval force drove under the colors black-red-gold, until it was replaced by the newly developed Royal Prussian Navy. Perhaps you have been waiting for some years since, that everything will eventually become “normal” again. But the normality is a long way off – probably it is quite a thing of the past. Globalization and digitization shape our time. They have brought a breathtaking dynamism of change and global uncertainty. What specific effects do both phenomena have? How do they affect politics, business and society – but above all: how can we deal with you without falling into fearful passivity? Especially the upcoming elections in Germany and Europe in the coming weeks and months could be like new fire accelerators. In his lecture, Ludolf von Loewenstern examines selected aspects of current events and seeks to accept uncertainty as a characteristic of our time. Germany took over the presidency of the G20 last year for a year. In addition to the European Union, this group includes 19 leading industrial and emerging economies, representing two-thirds of the world’s population and more than 80 percent of global economic output. 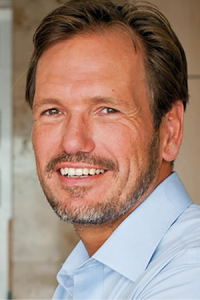 In his speech, Ludolf von Loewenstern will focus on the German G20 agenda. Keywords such as stability, future viability and responsibility play a central role – but in uncertain times like these are a major challenge. What is the stability of the global economy? How future-oriented are our institutions and how can industrialized countries meet their responsibilities for the equitable participation of poorer regions? The speaker will address some of these questions in his speech. It also illuminates selected crises of crises all over the world, which cast their shadows long before our doors – from the crisis continent Africa to the civil war in Syria. “Go Navy – Think Blue” is the slogan with which the navy would like to draw attention to entrepreneurs and managers of companies. In Stuttgart, the third event (after Hamburg and Munich / Bavaria) took place with 40 high-ranking entrepreneurs and managers from the Baden-Württemberg region. „Appetite to the Navy“ and „Understanding the Navy“ are the goals. The entrepreneurs and managers must also be interested in this. 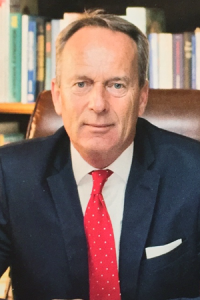 In his lecture, Viceadmiral Rainer Brinkmann, Deputy Chief of the German Navy and Commander of the Navy and support forces, pointed out the importance of the maritime transport seatrade for the economy. Especially the German economy needs free sealines. Where is the connection with the economy? Captain GN Thomas von Buttlar had an answer. In the fight for the “War-of-talents”, the economy has absolutely a substantial advantage, however, also the Navy can offer also a lot. Above all, the staff is the bottleneck. One solution to reducing the needs are the reservists. They cannot solve the personnel problem, but fill the one or other vacancy and so relieve the need. This is where the companies comes into play. Ludolf Baron von Loewenstern underscored this by his own experiences as a family enterpreneur and a reserve staff officer. In his lecture, he promotes a stronger engagement of the economy for the Navy. 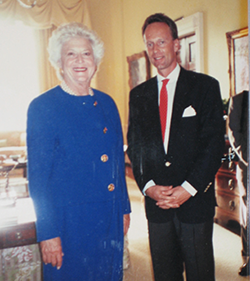 He also calls the Navy also „ Patron of the economy “ because she protects the maritime trade ways. It are precisely the midsize-companies from Baden-Wuerttemberg – the Hidden champions, as a backbone of the german economy, which must have a great interest in cooperating with the navy. During the questions-and-answer discussion sessions between the lectures and the coffee breaks, the focus was on issues of security policy, but also on possible cooperations between the companies and the navy. One proposal was, that trainees not even take a “sniff” for some days at the Navy and if so how, the trainee raise to a reserve level or change after the completion of the training to the navy. Many questions, a lot of new ideas and the will of the present especially from the entrepreneurs to argue further. Vice Admiral Rainer Brinkmann and his co-host Ludolf Baron von Loewenstern have their goals achieved. 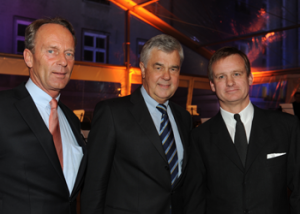 Guest selection: Bettina Wuerth (Wuerth-Gruppe), Gerald Schatz (Schatz-Gruppe), Gerhard Baumeister (M.M. Warburg), Oliver Beck (Mahle International), Felix Hage (Ernst & Young), Andreas Hammer (Tesat Spacecom), Dr. Christoph Hoppe (Thales Deutschland), Peter T. Issler (Economic Council Baden-Wuerttemberg), Andreas Lindemann (Goerlich Plastic technology), Dr. Michael Müller (Magility), Klaus Rahn (Bethmann Bank) etc.. In the 21st century, most crises and conflicts are about safeguarding raw materials and sales markets. Rising world population, rising life expectancy and rising prosperity will lead to a doubling of raw material and water consumption by 2050, according to the estimates. With its 54 states and some 1.1 billion people, Africa is the second largest continent in the world, an important market place for the international economy. Reports on delivery agreements and investment projects show how offensively some countries represent their interests when it comes to securing strategically important resources and new sales markets. Africa’s resources are a curse and a blessing. 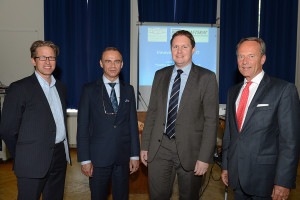 In his lecture series “Geopolitics in the 21st Century”, Ludolf Baron von Loewenstern, gave two lectures on board of MS Europa, highlighting current geopolitical and geostrategic challenges, addressing questions of the distribution and safeguarding of raw materials. As part of his lecture series “Continuity or Change? The United States after the presidential election” Ludolf Baron von Loewenstern presented on board of MS Europa 2 in October 2016 two lectures in which he imagines possible scenarios, weigh and illuminated from a geopolitical, geostrategic and geoeconomic perspective. Who will win the presidential elections whatsoever on November 8, 2016: How big are the differences of all campaign rhetoric despite the end – at least viewed from the outside – not be. Quite the contrary: The US geopolitical maintain continuity. This is also the youngest US strategy paper ” in a Complex World , 2020-2040 Win “is entitled. It’s about nothing less than the North American” Full Spectrum Dominance” on land, at sea and in the air. Main opponents of the USA are, according to the paper, the Eurasian competition powers China and Russia. 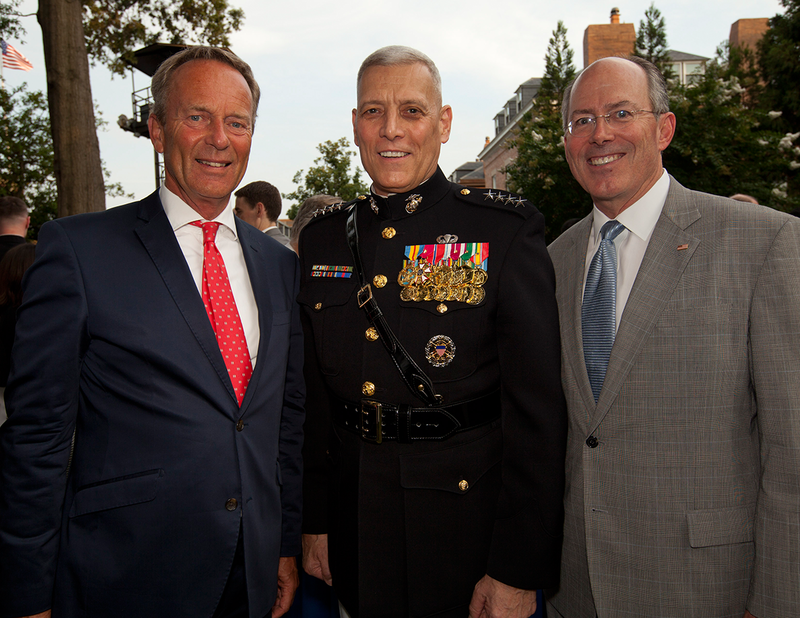 And Germany plays an important role in the geopolitical considerations of Americans. How will the US foreign after the election, security and geopolitical position? itself remains the “world policeman” faithful or what role the strategists have conceived their country to the global competition for safety, raw materials and prosperity to be successful? The International Geo Economic Forum is a series of events of the European Strategic Institute. 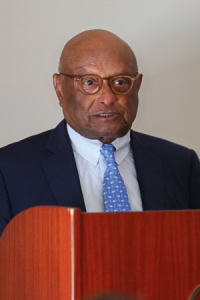 His concern is picking up on current economic and social policy issues that are presented byexpert speakers and discussed with the invited guests in regard to future developments. Through an in-depth presentation on current business issues carries this forum for an intensive exchange of views and information between the partners. After the successful kick-off event of the Marine round tables in October 2015 Hamburg – a series of events of the Deputy Chief of Deputy Chief of Staff of the German Navy and Commander of the Fleet and support forces, Vice Admiral Rainer Brinkmann – the second Navy-Round-Table was set up at the the banquet hall of the Officers’ Society of the Medical Academy of the Bundeswehr in Munich. The aim of the Navy-Round-Tables is to provide information on the current security situation and the exchange between Navy and the economy. For the 2. Navy-Round-Table on the 21th of April 2016 Vice Admiral Rainer Brinkmann invited together with the Commander reserve Ludolf Baron von Loewenstern and the Captain reserve, Kay Rupprecht. Over 30 entrepreneurs and managers followed this invitation. The reservists from today are authentic multipliers in the society. They give as external knowledge and experience bearers valuable contributions and new impulses in the navy. In the reality they are inalienbale as „a reserve bank“. The naval command create with this Navy-Round-Table for enterprisers and managers a new communication platform. This event serves the exchange between navy and entrepreneurs. 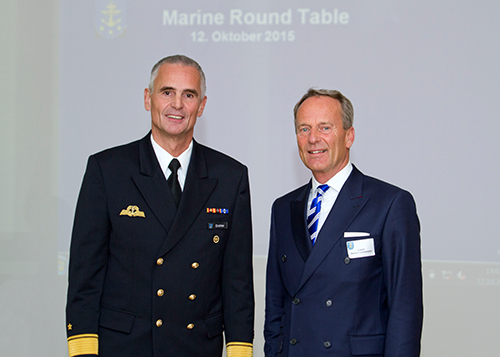 For the first Navy-Round-Table on the 12th of October Vice Admiral Rainer Brinkmann, Deputy Chief of Staff of the German Navy and Commander of the Fleet, invited together with the Entrepreneur and Commander reserve, Ludolf Baron von Loewenstern. Over 30 entrepreneurs and managers followed this invitation. Welcome address and moderation by the Chairman Ludolf Baron von Loewenstern. Ludolf Baron von Loewenstern as Lecturer/speaker of the topic on “International Politics & Environment. The Issue of Energy, Sources in Germany and the EU”. Patronage: Ole Freiherr von Beust, First Mayor of the Free and Hanseatic City of Hamburg. 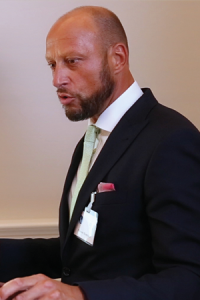 Welcome address and moderation: Ludolf Baron von Loewenstern. Patronage: Ole Freiherr von Beust, First Mayor of the Free and Hanseatic City of Hamburg. Welcome address and moderation: Ludolf Baron von Loewenstern. 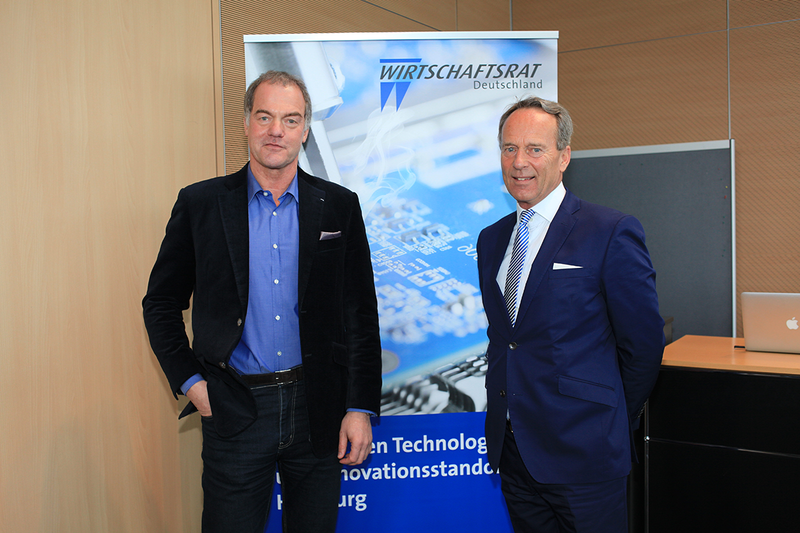 Sponsor: Interior Minister of Nordrhein-Westfalen. 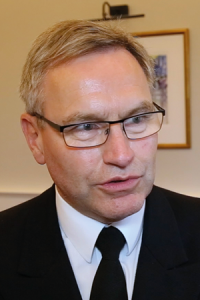 Jörg Ziercke, President of the BKA – German Federal Police, “The Geopolitical Security Status in the Virtual World”. Norbert Pieper, German Post DHL, “Geopolitical Dependencies on Airfreight and Logistics”. Talk by Wilko Specht (BDI – Federation of German Industry) “Challenges and Methods of Resolution for the Secure Supply of Raw Materials”. Prof. Dr. h.c. Klaus-Michael Kuehne, Entrepreneur & President of Kuehne and Nagel International, and Vice Admiral ret. 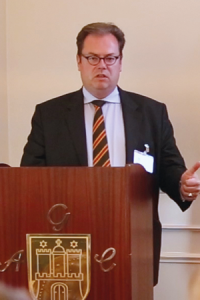 Lutz Feldt, DMI – German Naval Institute, on the topic “The Significance of the Maritime Economy using the example of Energy, Resouces and Transport”. General Wolfgang Schneiderhan, General Inspecteur of the German Forces, on the topic “Current Strategic Aspects of German Security Policy”. 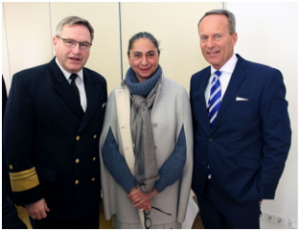 Dr. Franz-Josef Jung, Federal Minister of Defence, at the 20-year anniversary of the RATSHERREN-RUNDE on the topic “Secure Economy in the Era of Globalisation, Piracy, Terrorism, Asymmetric Threats and the Maritime Dependencies of the Federal Republic of Germany”. 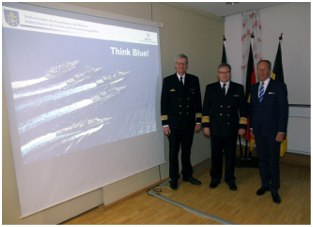 Vice Admiral Lutz Feldt, Commander of the Fleet German Navy, on the topic “From the Ambassadors in Blue to the Navy in Service”. General Major Christian Beck, Commander of the German Armed Forces Staff College, on the topic “Security. Retrospect – Status Quo – Prospect”. Part 1 “Economy & Financial”. Prof. Dr. Michael Stuermer, on the topic “Russia and the West: Strenuous State of Suspense” and “The Greater Middle East – Modern Pandemonium”. Kurt Bendlin on the topic “How to Sharpen Your Skills for Leadership”. Captain GN Schmidt-Skipiol, Deputy Chair Commander of Naval Academy Muerwik, on the topic “What Knowledge of Leadership from the Military can be Beneficial to Industry”. Ludolf Baron von Loewenstern, Cdr GN res., Chairman of the European Strategic Institute, on the topic “Maritime Dependency of the Federal Republic of Germany and the EU States with Resources as a geo-strategic Factor”. 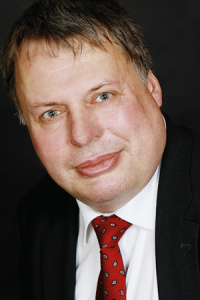 Talk by Ludolf Baron von Loewenstern on the topic “Secure Economy. The Maritime Dependencies of the Federal Republic of Germany in the Age of Piracy and Terrorism and the Issue of German Security in the 21st Century”.